Coresystems Reporting allows you to design and build reports for your Coresystems account. You can get a list of service calls created in the last 30 days in a nice PDF form. You can generate any of the embedded reports using any of the client applications or by using the Coresystems API directly. We also encourage you to create your own custom reports using Jaspersoft Studio and Coresystems Report Designer. Report Design A report design represents some parts of the final report. It defines what data will be included in the report and how that data will be arranged. Report Template A set of artifacts used to produce the final report. Report templates contain one or more report designs, style files, translation files and images. Report A document generated based on a report template, using the data from your account. Before proceeding with this user guide you should have a good understanding of JasperReports. We recommend reading JasperReports Tutorial, which covers most of the basics. Basic knowledge of Coresystems API is also needed. You can also check some videos with tutorials. Reports can be built from the client applications or by directly calling the Coresystems API. You can use any of the Coresystems client applications to build a report of your choice. If at least one report template is defined for a given object type, the Build Report button will be displayed. Some report templates define parameters which can be used to define the data or the final look of the report. The Coresystems API delivers a set of web services for building reports. A report can be built out of an existing report template only. Every Coresystems account comes with a set of embedded report templates covering the most common use cases. Currently those templates can’t be modified or deleted by users. Embedded report templates can be modified by the Coresystems support team only. Report templates contain report designs, style files, translation files and images. All artifacts can be created manually or mastered using Jaspersoft Studio. Jaspersoft Studio is a free, open source, eclipse-based report designer. Report Designer is a free plugin for Jaspersoft Studio which adds support for Coresystems Reporting Together they deliver the most simple way of creating report templates. In Jaspersoft Studio you create report designs, choose data sources and define the data using queries. The data source can represent any data, but most often it is a relational database. In Coresystems you never have direct access to the underlying database (security and permission concerns). Thus the data access has to be defined on top of coresystems API. 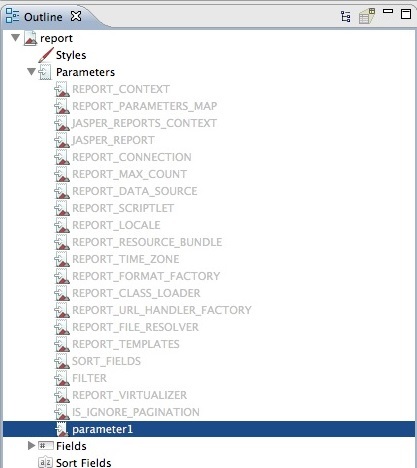 Report parameters are useful for passing data to the report engine during the build phase. A report can have zero or more parameters. You can define them in the Outline window when using the Design view. The CoreSQL queries are similar to Coresystems API calls. They define what data needs to be retrieved from your Coresystems account. 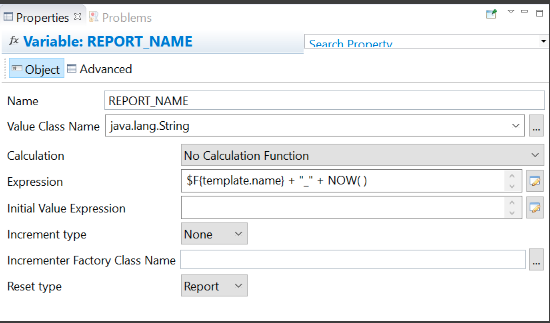 You can define only one query string per report design. You can use subreports to group different kinds of data. This CoreSQL query omits all server and connection information as well as credentials from the web service URL. For more examples and documentation, please refer to Coresystems API. Some query parameter values are only known during the build process. You can use report parameters to parametrize your queries. Keep in mind that you don’t have to worry about quotation marks. Just make sure to choose the right class for your parameter. Report fields are elements which represent the mapping of data between the data source and the report template. Fields can be combined in the report expressions to obtain the desired output. When declaring report fields, the data source should supply data corresponding to all the fields defined in the report template. A report design can contain zero or more fields. You can define them in the Outline window when using the Design view. By setting the property imageType of an image in order to keep the PNG format for all image properties. PNG supports transparency, which can improve the display of signatures in a signed report. Using the preview feature in Jaspersoft Studio you can check what the final report might look like. You need to install the Coresystems Report Designer plugin to be able to see data from your account. Make sure that you have the latest version of Jaspersoft Studio installed. You can download it from here. The currently supported version is 6.0.4 or higher. Create a new data adapter for CoreSQL. It must be of type Coresystems Cloud Connection. You are free to use any name. You are done. Go to the preview tab, choose the correct data adapter and hit Run. You want your report to look exactly the same on every device or on paper. Cloud Reporting supports one font and one font only - DejaVu. We made sure that we you can use it in many ways. If your report defines a different font family, DejaVu will be used anyway. For most common situations expressions represent the perfect tool for acquiring and processing dynamic data. Jaspersoft Studio defines a set of functions for most common operations on data, e.g. get current date. Report Designer delivers new functions for most common operations on Cloud objects. Report Designer functions are grouped in Coresystems category. Map fieldValuesInlined(String objectType, int objectVersion, String objectId, String fieldName, int lineIndex) Gets the field name to field value mappings for the given inlined object. REPORT_EMPTY Boolean Used by the cloud to determine if the built report is empty or not. If the report is empty, then there is no need to send it to customers. REPORT_NAME String The name of the file that contains the report. The cloud might use this value to create an attachment containing the report. In the mobile application (e.g. iOS App) synch to get the latest report template and use this to send the checklist via email or attach it to the linked object. A subreport is a report included inside another report. This allows the creation of very complex layouts with different portions of a single document filled using different data sources and reports. You can include a subreport in the main report just as any other element. Subreport can accept parameters. They can also return some values. UDF values can be used in online reports by using an alias query. If you set a field alias for a UDF, the query will only return the value of the UDF. An empty report usually means that an incorrect data adapter has been selected. The error message should give you enough information in case of rendering issues. For more information, you can check the Error Log view. Report and subreport designs are defined in XML files with the \\*.jrxml extension. The main report design must be named report.jrxml. There are no naming conventions for subreports, although the report_[objectType].jrxml naming schema is encouraged. Styles are defined in \\*.jrtx files. If you have more than one report design, you can define the styles in the style file and reference them in every design. Usually a single styles.jrtx file is enough. Translation files are defined using the Java resource bundle concept. The translation files are optional, but they have to be named like this: translations[_language[_country]].properties. All images which are included in the bundle and referenced in the report designs will be included in the report. Any type of image (PNG, JPG, etc.) should work just fine. When the files are ready, create a zip archive and upload it to your Coresystems account. The bundle must not contain any directories and all the files need to be placed directly in the bundle. Any directories and their content will be ignored. Report templates can be uploaded to Coresystems Cloud by either creating a new report template object, or by updating an existing one. In both cases, the archive file will be scanned to detect supported languages and parameters. In Coresystems, a report template is represented as an meta-data object and an attachment with the content. Embedded report templates can’t be updated or deleted. The easiest way to upload a report template is with the Jaspersoft Plugin. View the following video tutorial for more information. The upload using the API requires two web service calls. One for the report template object, and second one for the attachment. Please refer to Coresystems API for more details. This setting is currently available in iOS only. The following example shows how the With Checklists parameter can be set for Online Reports.